With all this talk of Kanye West being canceled, there sure was quite a few celebrities floating around his Christmas party. 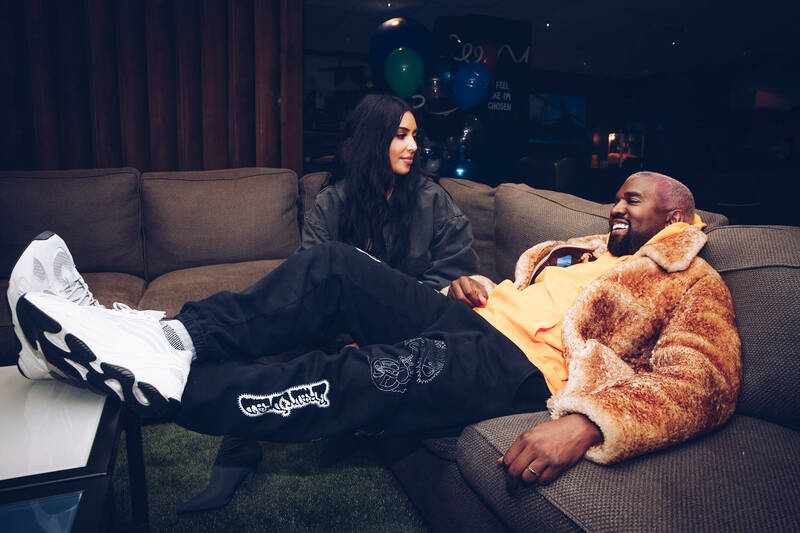 Along with his wife's family, the Kardashian-Jenner clan, West threw a holiday party that recreated a winter wonderland for the illustrious guests. Spaghetti Boys member Kerwin Frost was in attendance at the event, and he captured his interaction with several celebrities on film. Frost, dressed up as the Black Santa Claus, and interviewed will.i.am., Chris Brown, Kim Kardashian, Kathy Griffin, Kanye West, Harry Hudson, Dave Chappelle, and more. Chappelle appeared to be caught off guard by the questions that he was asked. "I don't know. Family?," responded the comedian when asked about his favorite thing about Christmas. "That's also the hardest part about Christmas," he added. Tyler the Creator was chowing down on a plate of yams when Frost caught up to him. "I'm healthy, I'm still attractive, and next year's gonna be crazy," responded Tyler when asked what he was most thankful for. "Just more success. And I didn't die. That car crash couldn't take me." Chris Brown greets Frost with love before he's hit with a question about his favorite Christmas memory. "I got a Power Ranger bed set," reminisces the R&B icon. Check out those interactions and tons of others below.